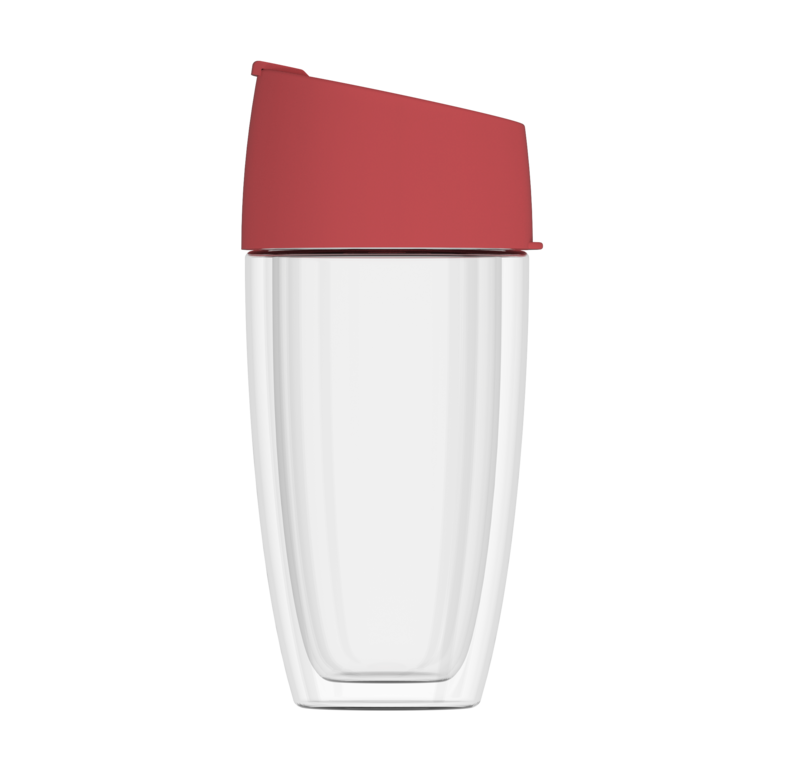 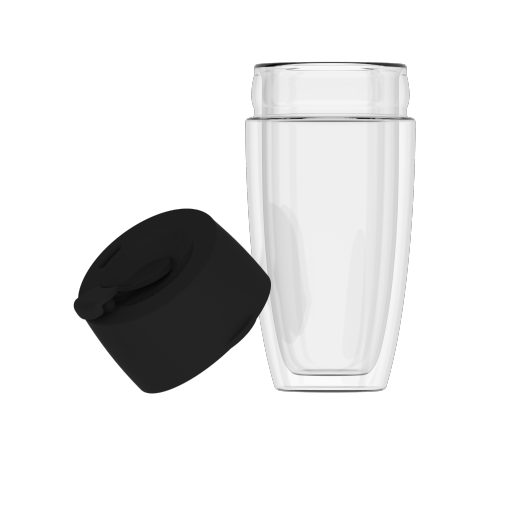 Double wall glass travel cup for greater retention of heat or cold. 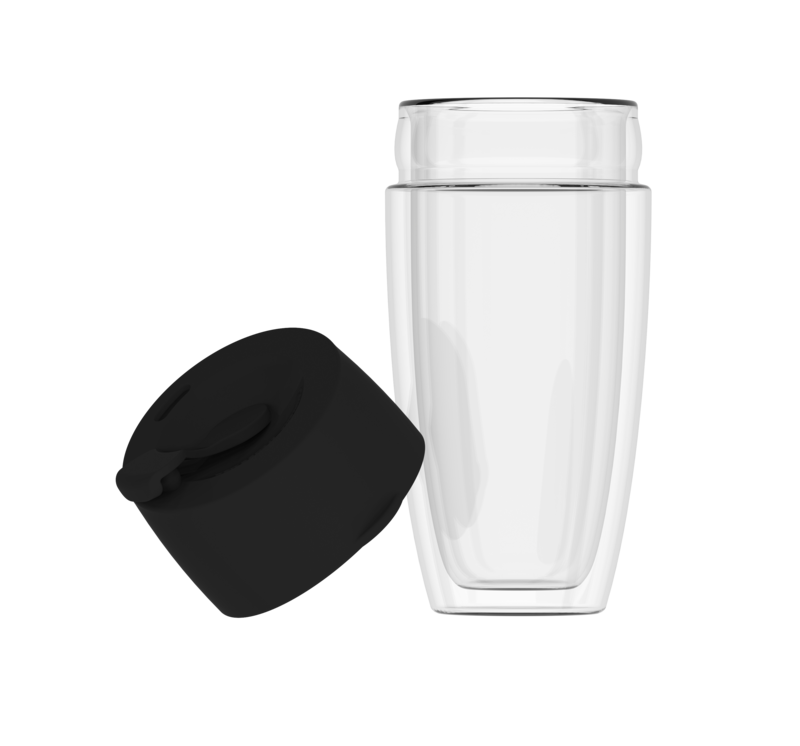 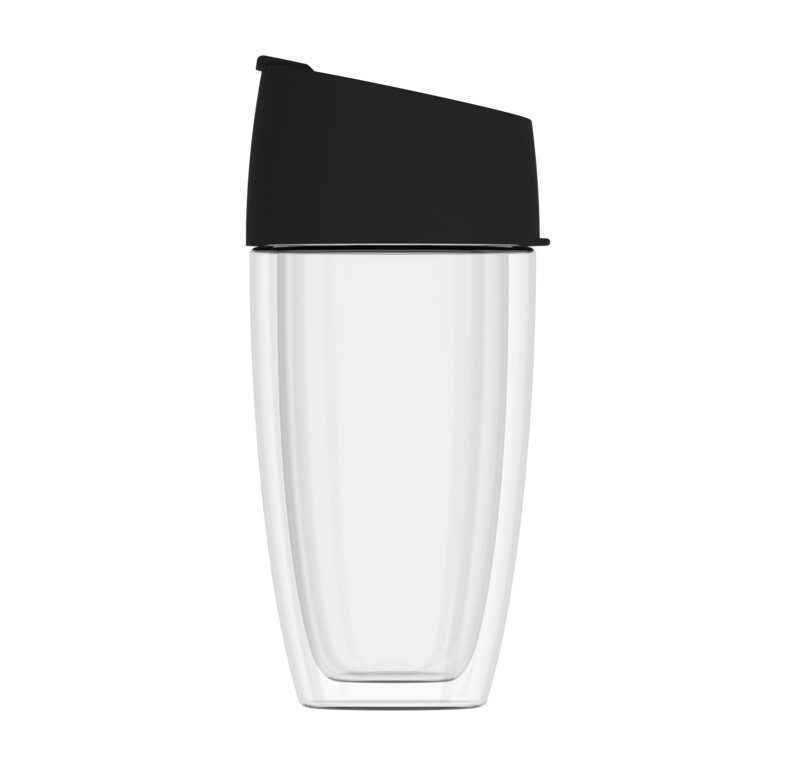 This reusable travel cup has a slim-hold stylish design, is eco friendly, BPA free and top drawer dish washer safe. 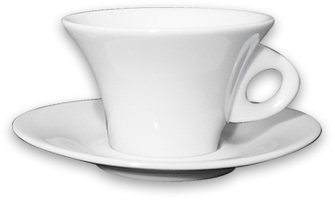 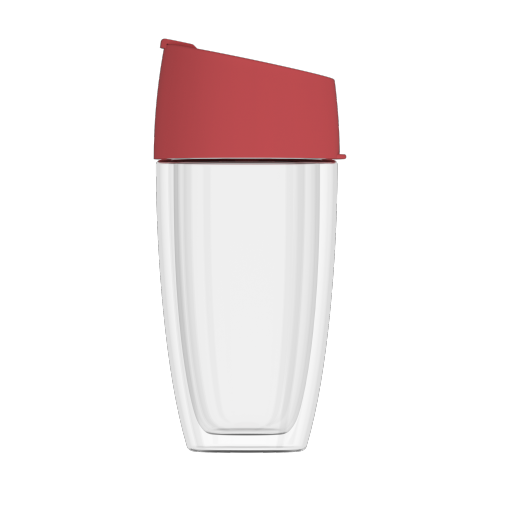 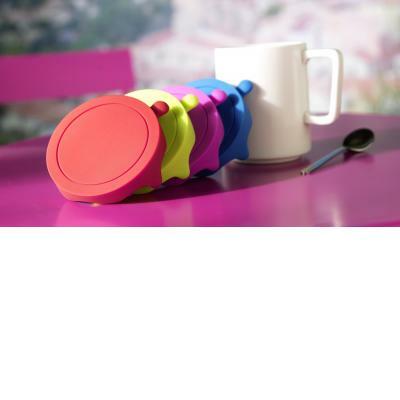 Hermetic, strong silicon lid, easy and great to drink from. 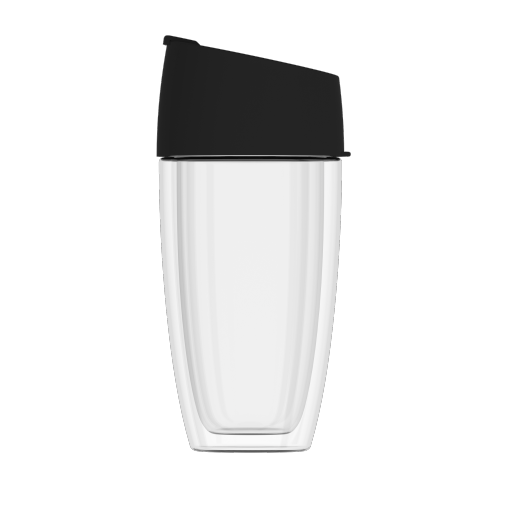 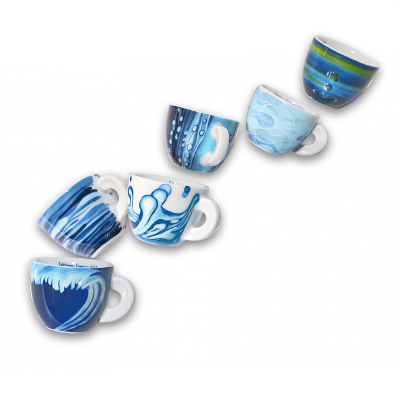 A must have for all coffee drinkers! 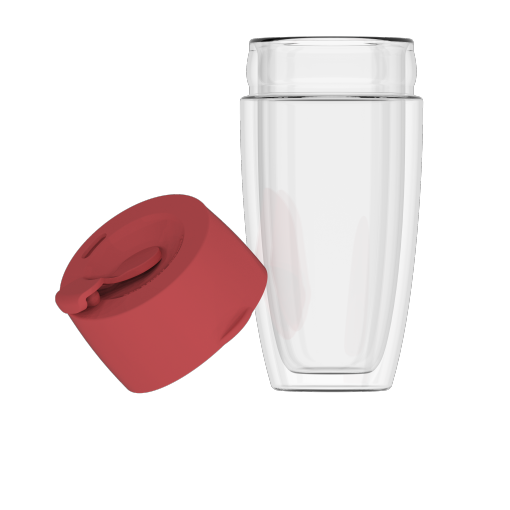 Also great to use as a glass without lid.